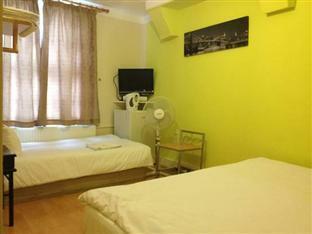 ﻿ City View Hotel Roman Road London. JIMAT di Agoda.com! Ada soalan mengenai City View Hotel Roman Road? Terletak pada kedudukan yang baik di Tower Hamlets, City View Hotel Roman Road adalah tempat yang sesuai untuk memulakan lawatan anda di London. Dari sini, tetamu boleh menikmati akses mudah kepada semua yang bandar meriah ini boleh tawarkan. Dengan lokasi yang mudah, hotel ini memberikan akses mudah ke tempat yang anda perlu lawati di bandar. Di City View Hotel Roman Road, perkhidmatan yang cemerlang dan kemudahan yang unggul menjadikan penginapan anda tidak dapat dilupakan. Hotel ini menawarkan pelbagai kemudahan di lokasi untuk memuaskan hati tetamu termasuk yang arif. City View Hotel Roman Road mengandungi 18 bilik yang dihias indah dan menawarkan internet wayarles, pemanas, meja, kipas, televisyen. Kemudahan rekreasi hotel, yang termasuk seperti taman direka untuk anda melarikan diri dari masalah dan bersantai. Nikmati perkhidmatan yang sukar ditandingi dan lokasi benar-benar berprestij di City View Hotel Roman Road. Window in room was in corridor, and you could easily push it from the corridor, so I felt unsafe on my own at night. Location was very dodgy. Was a cheap place, and there were shared toilets and showers, but they were a bit dirty. Room was extremely hot because of a fridge in the room. There was a fan but would have been too noisy to sleep for me. Had a restless night as it was a bit noisy, and I felt unsafe, I could see the corridor light easily through the room window, and I could hear the staff talking in reception for most of the night. That's how thin the walls were, and because of the window. Was alright as a low budget place to stay for the night, but wouldn't go there again. Will stay at a travel lodge next time. This place gets a lot of bad reviews, but here's what matters: the bathrooms are clean, if old and cramped. The rooms are grubby but the bedding itself is fresh. The walls are thin. The carpet is coming off the stairs in a perilous way. I've stayed in a lot of grungy hotels, so my standards are flexible -- and this one this is a fine hotel, nothing special, and certainly nowhere I'd recommend to more cautious or cleanliness-obsessed friends, but it's comfy enough in a pinch. Disgusting. The room was tiny, one window which was onto the hall which let in light all night. No aircon or outside windows so room smelt. Disgusting stains on the wall, just generally dirty. Good place to stay if you are looking for a budget accommodation. The location is good, subway is just 5 min walk (zone 2) and there is a bus stop across the street (a night bus every 20 min). Breakfast was nothing fancy, but included still toast & jam, saussage, beans, scrambled/fried eggs, coffee and juice. You have to make your choice and wait for it to be prepared for 5 min. Refridgerator and water heater were in the room, coming in handy for those on budget. 24-hour reception. We were offered to choose between 2 hotels of thge chain, so we stayed at the one closer to the tube station. The room was clean, nice and warm on a cold, snowy weekend. Furniture simple, bit shabby, bed comfortable, abundant English breakfast. Value for money. Snow was not cleaned from the steps and passage in fromt of our building, and receptionist didn't have any plug adaptor for continental European plugs. 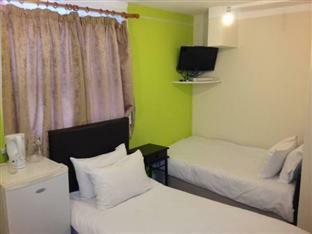 The City View Hotel offers economy rooms for an economy price. Rooms were clean but basic bed & tv, wash room & showers were seperate, main drawback was the heat, my room on the ground floor with the raditor turned was still far too warm. The hotel was difficult to find even though it was on a straight main road no signs up to show it was a hotel. it was adequte bit I would not say it would suitable for a family. I would use again but it would be as a last resort other hotels offer beter value for money. Ein kleines nettes hotel, doch an der Sauberkeit in den Gemeinschaftbädern könnte man noch arbeiten. O quarto era um bocado pequeno e não tinha janela o que é um aspecto negativo. os serviços à disposição dos clientes wifi e aquecimento estiveram impecáveis. La estancia a sido normal , el sitio no es una ratonera ni tampoco reluciente en cuanto a la limpieza , el trato ha estado amable sobre todo la chica que te sirve el desayuno que siempre tenia una sonrisa. La habitacion era bastante pequeña y el piso se movia y hacia ruido al caminar , la puerta al entrar o salir muy ruidosa. Si buscan buen precio y poder estar bajo techo es ideal , no hay comodidades ni lujos pero para un par de dias esta bien. proszę nie wypisywać głupot na temat hotelu w dzielnicy imigrantów i za takie pieniądze. hotel całkiem spoko, świetna lokalizacja, autobusem nr 8 dotrzemy w ważniejsze miejsca, hotel nie jest nowy ale całkiem czysty, obsługa bezpretensjonalna. śniadania też w porządku. moim zdaniem jest ok. a jak ktoś nie ma kasy na lepszy hotel to niech zamknie dziób i śpi tu gdzie go stać a nie wymaga bóg wie co!!! Blisko metra , tanio, darmowe wifi. 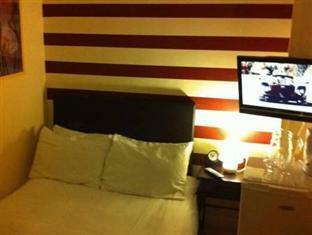 hotel jest blisko stacji metra bethnal green. spałem tam tylko jedną noc. miałem pokój z wielkim oknem na ulicę. idealna lokalizacja dla b.... hotel wymagający odnowienia. no niby czysto ale nie świeżo. śniadanie połowicznie dobre po zwiedzaniu londynu byłem tak zmęczony że prawie mi to nie przeszkadzało obsługa miła i sympatyczna. do plusów darmowe wi-fi.